Hands of Hope will use the information provided to stay in touch with you throughout the year and provide email updates on our ministry. You may unsubscribe at anytime. Thanks to the Arizona Charitable Tax Credit, your gift to Hands of Hope Tucson does more than help care for those facing an unplanned pregnancy… it gives you a dollar-for-dollar Arizona tax credit. You can owe less and help more! Your donation can be reported on your state income tax return through the Credit for Donations made to a Qualifying Charitable Organization. Take advantage of this rare opportunity to tell the government where to spend your money, and save lives in the process! Planned Giving allows you to continue to give to Hand of Hope Tucson’s ministry. Please contact if you would like to talk with someone about your options and answer your questions. Be assured your private information will be kept confidential. Hands of Hope Tucson is a non-profit, 501(c)(3) charitable organization, all gifts are tax-deductible as allowable by law and receipts are issued for donations. Your gifts made to Hands of Hope Tucson in 2019 qualify for the Arizona Charitable Tax Credit. Hands of Hope Tucson is an exempt organization under Section 501(c)(3) of the Internal Revenue Code. Donations to Hands of Hope Tucson(formerly known as The Crisis Pregnancy Centers) are tax-deductible to the extent allowed under the law. 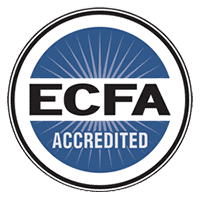 Hands of Hope Tucson is accredited by the Evangelical Council for Financial Accountability.